Mtskheta is a UNESCO World Heritage Site. 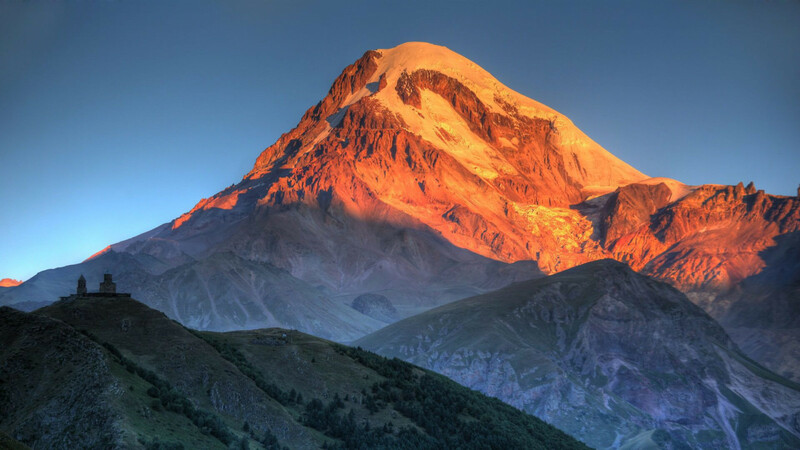 It has been inhabited since before 1,000 BC and was once the capital of the early Kingdom of Iberia (today’s Eastern Georgia). Just 20 km from Tbilisi, at the confluence of the Mtkvari and Aragvi rivers, the city is located on an ancient trade route. 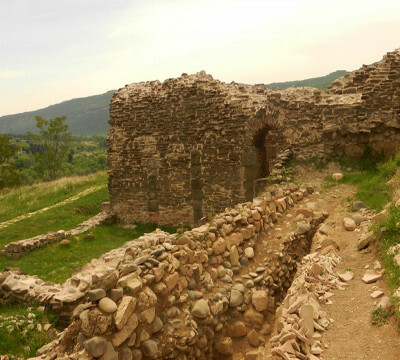 Archaeologists have unearthed evidence of Mtskheta’s status as a major trading post. Glass perfume bottles, Greek and Aramaic writings, pottery, metalwork and jewelry have all been unearthed in abundance here, and many examples are on show in the town’s museum. The ancient geographer Strabo described Mtskheta as a highly developed city with a water supply system, markets and stone houses. 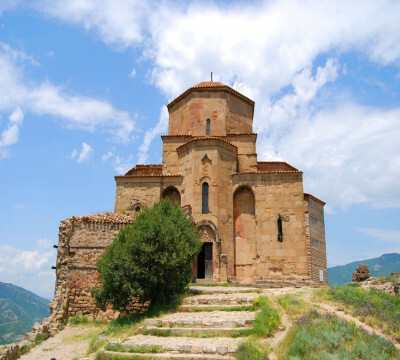 Mtskheta was also the religious centre of the country, with a number of major shrines to Georgia’s pagan pantheon; these would later be replaced by churches when St. Nino converted the country to Christianity in around 337 AD. 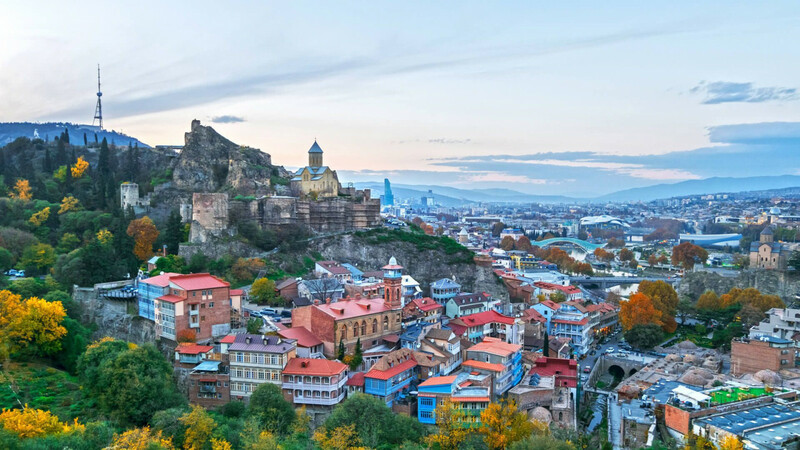 Although the capital was moved to the more easily defended Tbilisi at the beginning of the VI century, Mtskheta continued to be the coronation and burial place of Georgian kings, and the seat of the Patriarch, who is also known as the Bishop of Mtskheta. 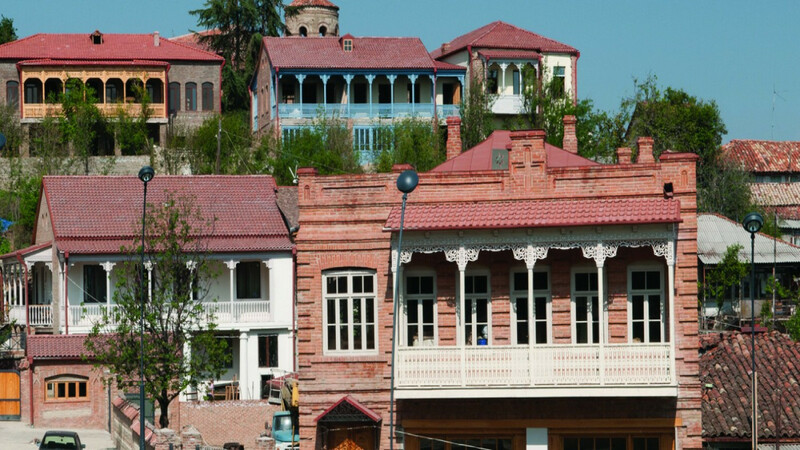 Today, the lovely old town has a laid back, village feel, especially compared to the more hectic pace of Tbilisi. 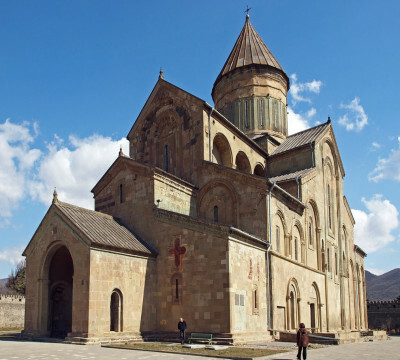 This Georgian architectural wonder dating back to the XI century has served as the religious center of the country for hundreds of years. The complex includes the church, a gate, a bell tower, castles, and clerical residences. The mantles of Christ and of the Prophet Elijah are both preserved in the Svetitskhoveli Cathedral. 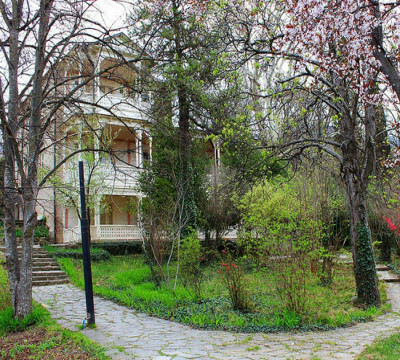 The tombs of Tbilisi's founder, King Vakhtang Gorgasali is also inside the building. The cathedral is included on the UNESCO World Heritage Site list. The Museum-Reserve contains archaeological artifacts of national and international importance. A wide variety of exhibits from the Bronze, late Middle Ages, and various ethnographic pieces are also on display. 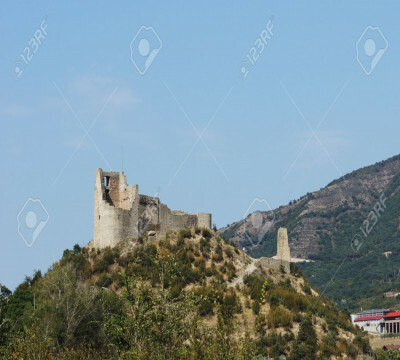 Bebristsikhe castle is located north of Mtskheta, on the right bank of the river Aragvi. It was called Belta in ancient times. The castle was built in the antique period; its total area equates to approximately 1500 m2 and the inner courtyard is about 600 m2. The VI century Georgian Orthodox monastery is built on a hill opposite Mtskheta, at the confluence of Aragvi and Mtkvari rivers. Shortly after the adoption of Christianity, King Mirian III erected an enormous wooden cross on this site. 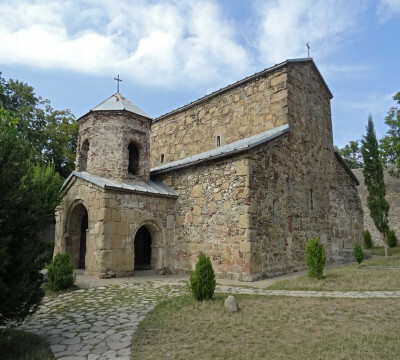 In the 2nd half of the VI century Guaram, the ruler of Kartli, built a small church beside the Holy Cross. The church is included on the UNESCO World Heritage Site list. 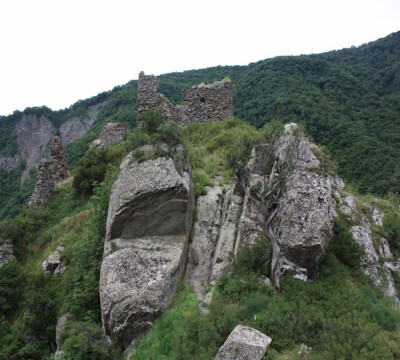 This historic archaeological monument is located along Mtskheta-Tbilisi highway. Its name is linked to the pagan idol Armazi which was proclaimed the supreme deity by King Parnavaz. 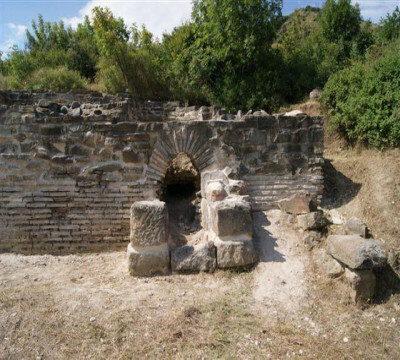 Archeological findings on the territory of Armaztsikhe include segments of wall, towers, structures of the royal residence, and the ruins of the burial vault. Locals refer to Armaztsikhe as Bagineti. Considering its scale and age, Armazi is one of the most important fortresses in the country. Currently, the remains of the fortress occupy 30 hectares. 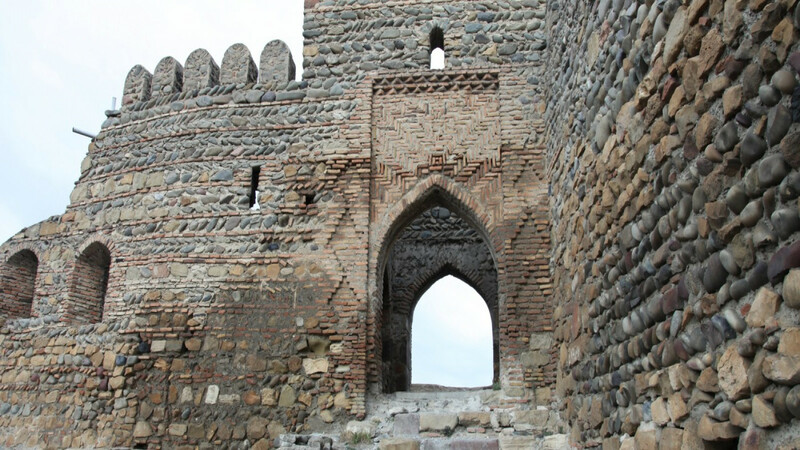 The fortress used to control the road to bordering countries beyond the Caucasus. 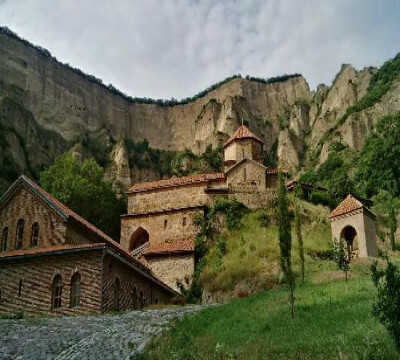 The monastery is located 8 km from Mtskheta, on the left bank of the Mtkvari River. It was constructed in the beginning of the second half of the VI century by one of the Assyrian fathers named Shio. The complex includes facilities of different time periods: a cave church, the Church of St. John the Baptist, a bell tower, the church of Shio, St. Mary’s Assumption Cathedral with its tower, refectory, and rock-cut caves - reservoirs, clergy houses, a spring, a water supply system and the Ascension Church. The Zedazeni complex is located 6 km south of the village of Saguramo, on the top of a mountain covered in deep forests. The complex includes the Church of St. John the Baptist, a fortress, and monastic cave cells.